How do I get a limited driving privilege after a DWI? Immediately after being charged with DWI your license is ordinarily suspended for 30 days. A first time offender should be eligible to obtain a pre-trial driving privilege good between day 11 and 30 after obtaining a substance abuse assessment. That same first time offender if ultimately convicted of DWI who blew under 0.15 should be eligible for a post-trial driving privilege good for 1 year until they are eligible to regain their license. For first time offenders convicted of DWI who blew a 0.15 or above they should be eligible to obtain a post-trial driving privilege after installation of a interlock device and a 45 day walk period. Is DWI a misdemeanor or felony in NC? DWI in North Carolina is generally a misdemeanor charge unless there is a charge of habitual DWI. 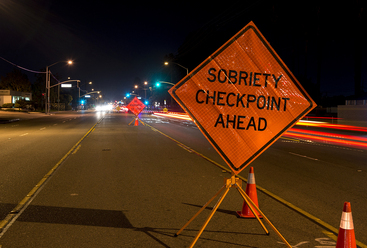 Habitual DWI involves 3 DWI convictions in the prior 7 years. What is the penalty for DWI in NC? Penalties for DWI are becoming more harsh almost every year and do not fall under the normal misdemeanor punishment grid. Consequences for a first conviction of DWI under North Carolina law include suspension of your license for a minimum of one year in addition to a minimum of 24 hours of jail and/or community service. Subsequent convictions carry even stiffer penalties depending on the date of your earlier conviction. Do not go to Court without knowing the different DWI levels in NC and the maximum punishment for each. How long does a DWI take in NC? Although you can certainly plead guilty as charged at your first court date a DWI case can easily take a year or more to resolve. As stated above your first court date is usually a month or two after your arrest. At your first court date the DA will ask what you intend to do about an attorney- hire your own, ask for a court appointed attorney, or represent yourself. If you ask for a court appointed lawyer or time to hire you own lawyer your case is generally continued another month or two until the officer's next court date. This allows time for you to meet your attorney and discuss your case. As officers are not always in Court (even on their scheduled court date) it can sometimes take several court dates before your attorney even has a chance to speak with the officer. Will my DWI be dismissed if the officer is not in court? If the officer never comes to court the DA would likely to forced to a take a dismissal of your case as the arresting officer is usually required for trial. That being said the Judges tend to grant numerous continuances to the State when the officer is unavailable for Court. Sometimes a case is continued even if a subpoena was issued for the officer to appear and he or she is not present! Do I have to testify at my DWI trial? A defendant cannot be compelled to take the stand in NC criminal court. In fact, many DWI trials are essentially won on a motion to dismiss before the State even finishes presenting their evidence. Examples include a lack of reasonable suspicion to stop your vehicle or a lack of probable cause to arrest. Can I ask for a jury trial for DWI in NC? Driving While Impaired misdemeanors in North Carolina have original jurisdiction in District Court with a Judge trial. If you are convicted in District Court you may appeal and request a trial de novo by jury in Superior Court. Should I hire a lawyer for DWI in NC? At Witt Law Firm, P.A. we will fully explain your legal rights and examine your chances of winning at trial as well as the consequence of pleading guilty or being found guilty. Often a limited driving privilege can be secured assuming certain criteria are met such as providing the Court with a substance abuse assessment, proof of insurance with a DL-123, and proof of working hours. Please give us a call to set up a free consultation rather than appear in Court unprepared and uninformed. ​Understand that the Judge typically will not fill out the limited driving privilege for you. The most common required forms are provided below, but is not an exhaustive list. If you want a limited driving privilege you must come to Court with one already prepared in addition to any other required paperwork. Learn how to beat a DWI in NC. Call us at (704) 493-6851 to schedule a free consultation today. 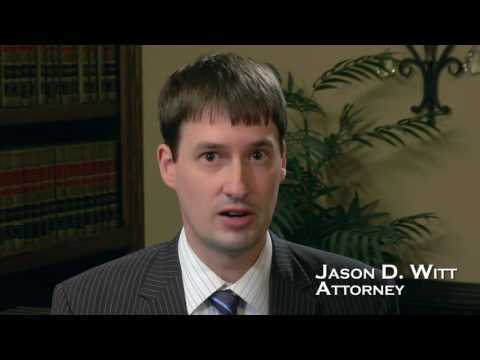 "I would highly recommend Jason Witt to anyone. He handled my case in a very professional and timely manner. Thanks Jason Witt!"